The essence of The Cove Lakeside Resort and Spa is rustic luxury in an exhilarating setting. In fact, the tranquility of our surroundings soothes the spirit while an array of resort-style amenities makes it easy to do as much or as little as you like. You might follow a massage or a body treatment at the Spa at The Cove with a glass of wine and charcuterie & cheese on Bonfire Restaurant’s lakefront patio. Spend the day lounging by the main outdoor pool or splash with the kiddies in the adjacent pool and waterslide (pools are open seasonally from May Long through to Thanksgiving). Head to LakeSurf Okanagan at the seasonal marina for your pick of “water toys,” including sport boats, pontoon boats, waverunners, kayaks, stand up paddle boards and more, or plan a movie night in our private 18 seat movie theater. From basketball, tennis and a fitness center onsite to championship golf, world-class skiing, wineries and other fun activities nearby, there’s something for everyone. While many resorts in Kelowna are known for their recreational opportunities, unparalleled guest service and boutique-style hospitality are what set The Cove Lakeside Resort apart as a truly special place. 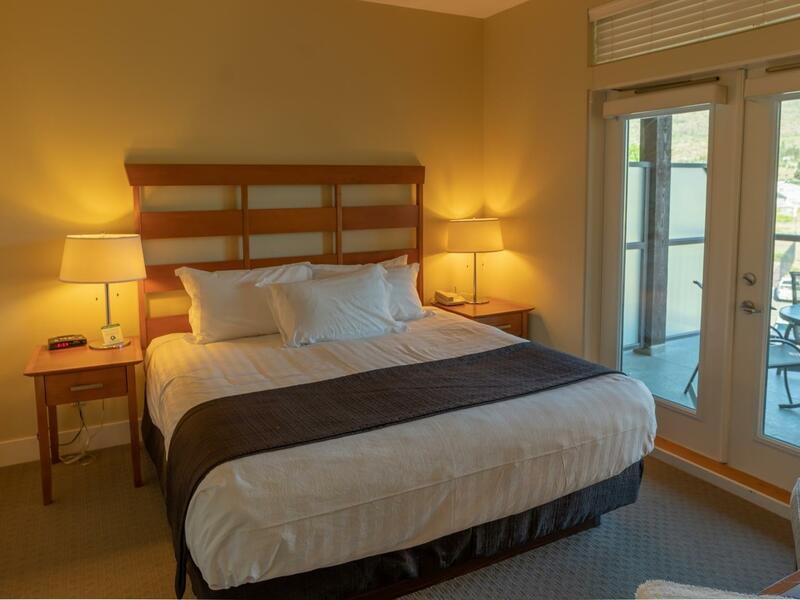 Whether you’re visiting the Okanagan for a family vacation, a romantic getaway, a wedding celebration or a corporate gathering, you’ll feel truly at home away from it all. 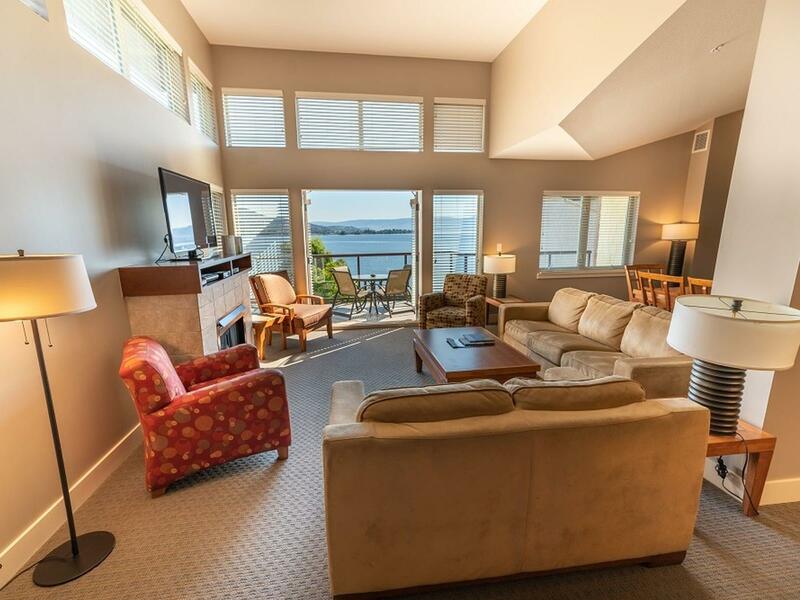 Browse our exclusive West Kelowna vacation packages to enhance your next escape to The Cove Lakeside Resort. From romantic escapes, girls getaways and wine tours to packages and special offers designed to take advantage of the Okanagan’s four glorious seasons, there is something unique for every traveler. The 100 one-, two- and three-bedroom suites at The Cove Lakeside Resort are not your typical hotel accommodations. With spacious floor plans that range from 700 square feet to 2,400 square feet, encompassing fully equipped five-piece gourmet kitchens with wine fridges, upscale furnishings, living and dining areas and expansive balconies or terraces, they feel more like your home away from home. The four-season beauty and tranquility of West Kelowna provide an unforgettable backdrop any time of year for your wedding at The Cove Lakeside Resort. Overlooking Okanagan Lake, framed by landscaped gardens and mountain views, we provide wedding venues unlike any other in British Columbia. For functions at the resort, our passionate and experienced team offers customizedoffers customized event planning services, including recommendations and referrals for transportation, team building and unique Okanagan experiences. Whether it's a corporate retreat, a conference or a team building session, your event is sure to be one you and your guests won't soon forget. 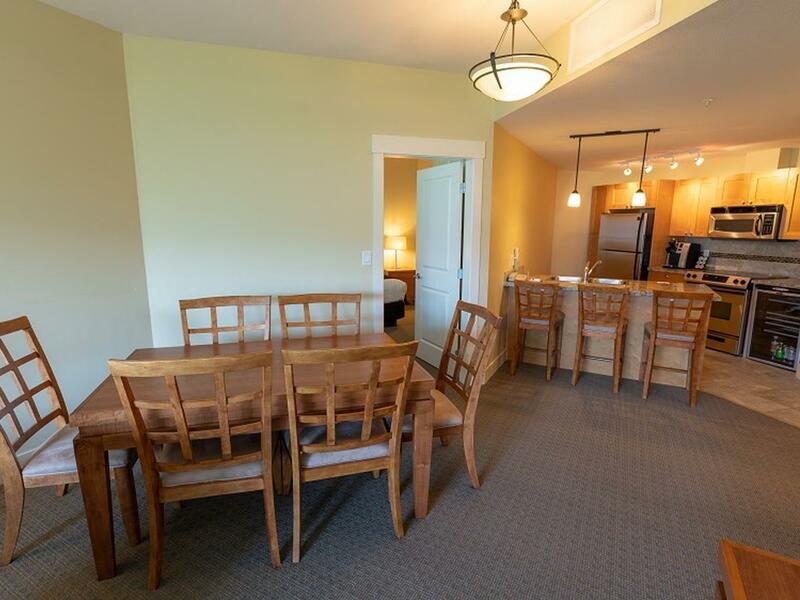 A haven of indulgence... beautiful, lakefront resort with huge suites and enormous balconies. Location is everything when I travel with my lab and right next door - a park, a beach, trail systems... perfect... plus a yummy restaurant and waterfront spa. You will not disappointed. Your pooch will love it!! As a company, we have a strong commitment to the environment, our guests and our community. We are proud to have won various awards and recognitions for our hard work and commitment. The Cove Lakeside Resort is proud to have been awarded 3 green keys through The Hotel Association of Canada for our commitment to improving our environmental performance. We are a hotel that has shown national industry leadership and commitment to protecting the environment through our wide range of policies and practices. We have exceptional programs in place involving our management, employees, guests, and the public, which have shown substantial and measurable results in protecting our environment. Each year, TripAdvisor gives Certificate of Excellence awards to hotels, B&Bs and holiday rentals that show continued excellence in hospitality. The Cove Lakeside Resort has received this award annually since 2012. The Cove Lakeside Resort is ranked in the top-10 four-star hotels in Central Okanagan according to the TravelMyth hotel search algorithm, with an excellent 9.1/10 rating. Travelmyth is a hotel recommendation engine for sophisticated travellers seeking unique holiday experiences. The Cove Lakeside Resort has achieved a Loved by Guests award from hotels.com for delivering exceptional customer service in 2018 and 2019. Hotels.com Loved by Guests global awards celebrate the properties that guests are excited to talk about. These awards are given to the “best of the best” partners — those who go the extra mile to delight travelers. The 'Loved by Guests' awards are based on verified guest reviews, and our guests have rated us among the very best, with a superb review rating of 9.2/10! The opinions of our guests are very important to us and we are proud that 100% of Travelocity guests recommend The Cove. 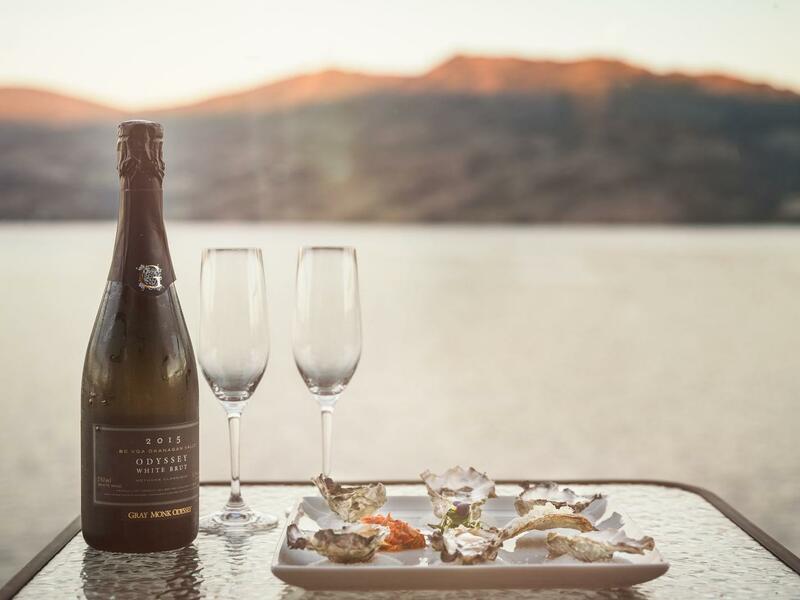 With a pet-friendly, family-friendly, service-rich spirit and amenities that range from two outdoor seasonal pools and hot tubs, to tennis and basketball courts and the pampering Spa at The Cove, The Cove Lakeside Resort is an exhilarating getaway on the shores of Okanagan Lake.